Home/Studio-style open-air over-ear headphones that come with a detachable audio cable, storage case, and a mini-plug-to-1/4-inch-plug adapter. 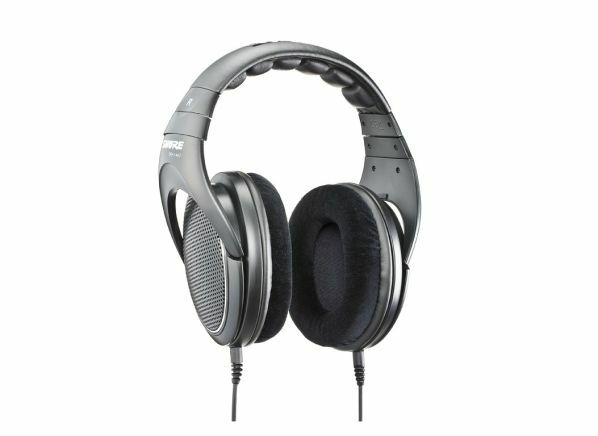 The Shure SRH1440 home/studio-style headphones have a open-air over-ear design. These headphones have a detachable 81-inch audio cord with a stereo mini-plug. The SRH1440 comes with large storage case, mini-plug-to-1/4-inch-plug adapter, spare ear cushions, spare detachable audio cable. This model is covered by a 24-month warranty. Storage case, mini-plug-to-1/4-inch-plug adapter, spare ear cushions, spare detachable audio cable.